Announcing the results of our final drawing to give away copies of the Walking on the Sea of Clouds audiobook! Scott Huggins, “Very Nearly Award-Winning” author of Racine, Wisconsin. And to cap off the entire giveaway effort, I decided to award one additional prize to the person who had shared the news the most: that award went to Navy veteran J.J. Dunaway, accountant by day and reader, writer, and geek by night! Thus Quoth the Raven: RavenCon! This weekend I’ll be at the RavenCon science fiction and fantasy convention in Williamsburg, Virginia. RavenCon is a terrific convention, run by a great group of people, and I’ve enjoyed attending and serving as a guest at it for many years. I hope to debut a new serious song (that I just finished last week!) in my Sunday morning concert, and I may also debut a work-in-progress silly song during one of the open filking sessions. Should be fun, all around! Safe travels to everyone who’s headed anywhere, and especially to all my fannish friends coming to the con! Hear Ye, Hear Ye — We Have a Winner! Congratulations to Chip Brazell — a workforce analyst from Cherokee County, Georgia — our first winner of an Audible download of Walking on the Sea of Clouds! It’s an audio book — get it? We have more drawings planned for between now and Tax Day! If you’re not registered, you can enter by signing up for my newsletter using this special link. So, once more for good measure: Congratulations, Chip! Hope you enjoy listening to the story. 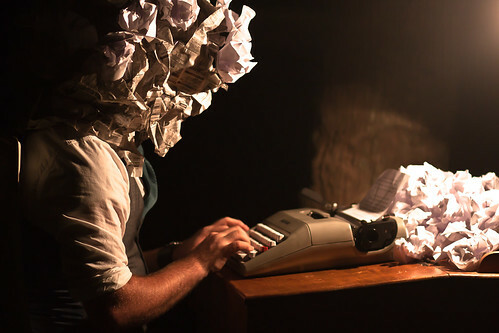 Writers, What’s Your Main Character’s Tendency? A few weeks ago I posted about Gretchen Rubin’s “Four Tendencies” model,* and specifically how it revealed a mistake I made in my book on education** — not an error of fact, but an error of omission due to my own failure of imagination. Since then I’ve been thinking about the Four Tendencies as they might apply to characterization in fiction. Like many such schemes, this one has its strengths and weaknesses (e.g., I wish she had explored in more depth the areas where the tendencies overlap), but I find that it has some excellent insights into our choices and behaviors. As statistician George Box said, “All models are wrong. Some models are useful,” and the Four Tendencies is a quite useful model. So how can this model apply to writing fictional characters? I think anything that helps us understand that mysterious thing called “human nature” is useful in creating characters who readers will find interesting and believable, let alone relatable and sympathetic. And understanding the Four Tendencies has the potential to make a big difference in writing characters who have clear motivations and consistent reactions to the expectations of the other characters around them. When I think about the main characters in Walking on the Sea of Clouds (now available in audiobook***), for instance, I think Stormie Pastorelli fits the pattern of an Upholder. She’s driven to succeed, and to help the lunar colony survive and thrive, with a strong “by-the-book” approach and a heavy insistence on living up to her high expectations of herself. I think her husband Frank, on the other hand, is an Obliger: he is ready and willing to do things that other people expect of him, even sometimes at the expense of his own well-being. Of the other main characters in the novel, Barbara Richards is probably also an Obliger, and that makes her struggle about whether to stay at the lunar colony realistic. (It makes sense to me for two of the main characters to have that tendency, since Ms. Rubin points out that Obligers form the most prevalent tendency in society; honestly, I don’t think society would function if Obligers weren’t the largest group.) I think Barbara’s husband Van, though, is primarily a Questioner — perhaps with a bit of Rebel thrown in. If you’ve read Walking on the Sea of Clouds, what do you think? Does that assessment sound right to you? How do you think I did in keeping their characteristic tendencies consistent? If you’re a writer, do you think the Four Tendencies might help you better understand the personalities of your main characters, in order to keep their characterizations consistent? I’d be interested to know your thoughts. As for me, I’m working on a fantasy novel these days, and I’m keeping the Four Tendencies in mind as I try to figure out my characters’ motivations and their feelings about the expectations placed on them. I hope I’ll be able to make them seem realistic! But that, in the end, will be decided by the readers. *Full (and somewhat unwieldy) title: The Four Tendencies: The Indispensable Personality Profiles That Reveal How to Make Your Life Better (and Other People’s Lives Better, Too). **Quality Education: Why It Matters, and How to Structure the System to Sustain It (a fairly unwieldy title of my own). 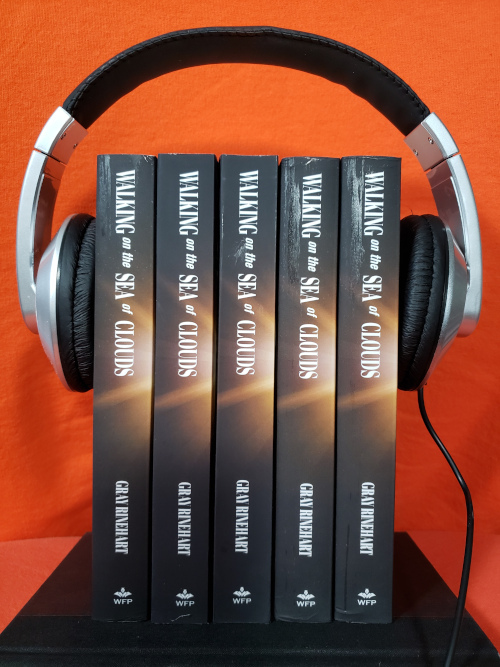 ***Reminder for anyone who missed the announcement: I’m running a series of giveaways for Audible downloads of the Walking on the Sea of Clouds audiobook. Sign up at this link! … and you can enter as many times as you like! 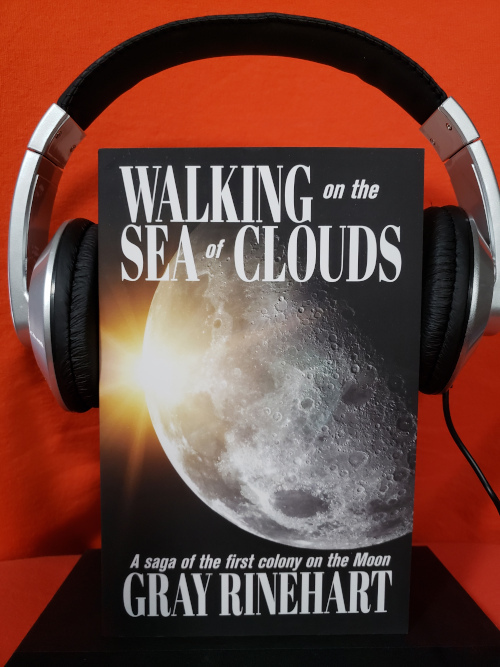 As announced previously, the Walking on the Sea of Clouds audiobook is complete and available for your listening pleasure direct from Audible or, if you prefer, from Amazon — and between now and Tax Day, we’re going to hold multiple drawings to give away free Audible downloads for it! Why Tax Day? Because somebody ought to get some good news on that day! How do you enter? 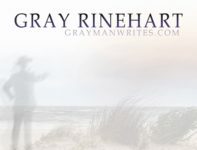 Just sign up for my newsletter using this special link, and then every time you share the link and tag me, I’ll enter you in the drawing again! … as entertaining as some of Heinlein’s early fiction, …. closer to the type of fiction Jerry Pournelle wrote in the 1960s and 1970s…. captures a pioneering era that once was and could be again. It’s a near-future story of survival and sacrifice during the very early days of a lunar colony, and explores the reasons why people sign up for such daring enterprises and the price they’re willing to pay to help them succeed. In addition to Audible, you can also find it in other formats on Amazon and other online sources including Baen e-books. I hope you’ll give it a listen (or a read), and let me know what you think! 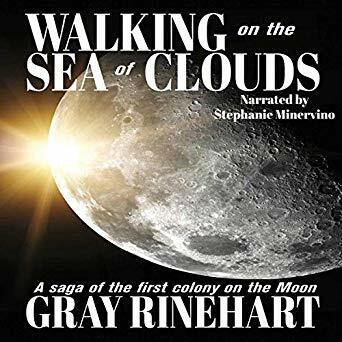 Ladies and gentlemen, the Walking on the Sea of Clouds audiobook is complete and available for your listening pleasure! You can score a copy direct from Audible or, if you prefer, from Amazon. If you click through to the Audible website, you can listen to a sample. And while I admit that I may be a little biased, I think she did a fine job. It wasn’t easy, with so many different accents among the characters, but she managed to give each character a unique voice! Spread the word! And if you give it a listen, I’d love to know what you think! Alas, it turns out I signed up for an entirely different thing! This weekend, I’ll be at the MarsCon science fiction and fantasy convention in Williamsburg, VA.
All kidding aside, I went to MarsCon once before, many years ago — in fact, at a science panel at that MarsCon I was inspired to write my first “official” filk song! It’s a fine convention, with a nice mix of tracks and entertainment, and I’m pleased that they’re letting me take part in it. I look forward to having a good time with a bunch of great people! P.S. In case you’re wondering … I might just have with me a copy or two of Distorted Vision, Truths and Lies and Make-Believe, and even Walking on the Sea of Clouds…. Comments Off on Ten Days Until AtomaCon! Starting just ten days from now, I’ll be the Musical Guest of Honor at the AtomaCon science fiction and fantasy convention in North Charleston, South Carolina. AtomaCon is sometimes rendered as ATOMACON, an acronym for “All Types of Media Arts Convention.” It’s a family-friendly show, run by some terrific people, that encompasses many different fandoms and genres. It’s still a youngish convention, now in its fifth year of operation and still growing. I’ll post more about it as we get closer to the event, but one thing I know is that I’ll be serving as the auctioneer at the charity auction to benefit the Sea Turtle Care Center at the South Carolina Aquarium. If you want to donate something to the auction, let me know! And better yet, if you’re going to be in the area then make plans to come to the show!